Father Patrick Samway, S.J. 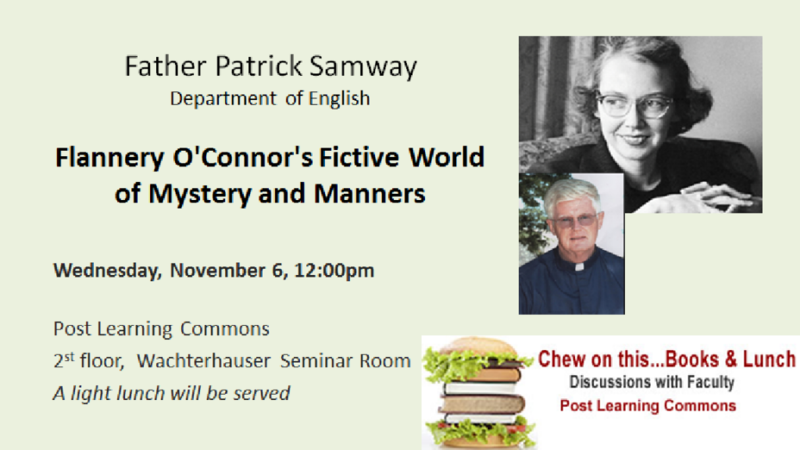 will discuss his work on Flannery O’Connor, delving into her letters and her experiences with editor Robert Giroux. Take a break and join us for lunch! April Lindner will read selections from her new book, Catherine. This will be followed by a brief question and answer session. A light lunch will be served. Hope to see you there!